1912 Reference. 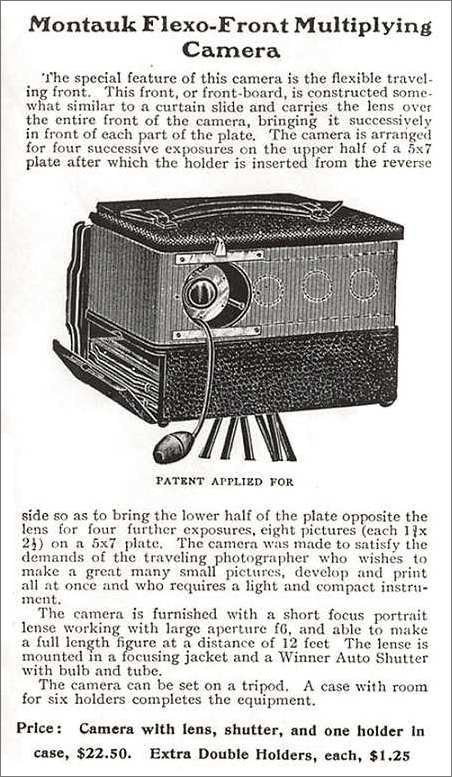 The Flexo-Front got its name from the sliding wooden tambour panel that could shift the lens/shutter in four different positions. Gennert referred to the feature as a flexible traveling front. The camera shown in the reference illustrates the standard portrait lens mounted in a Winner shutter. 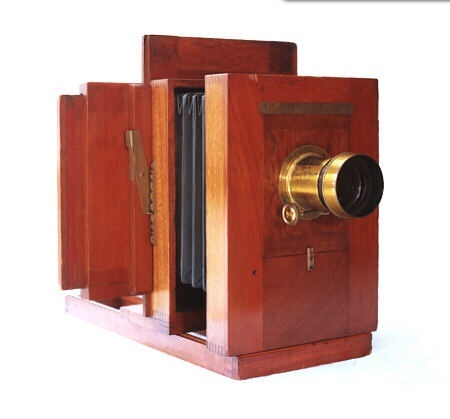 However, the Flexo-Front presented on this website has what looks like a landscape lens with a front mounted Wollensak Skyshade shutter. 1906 Reference. 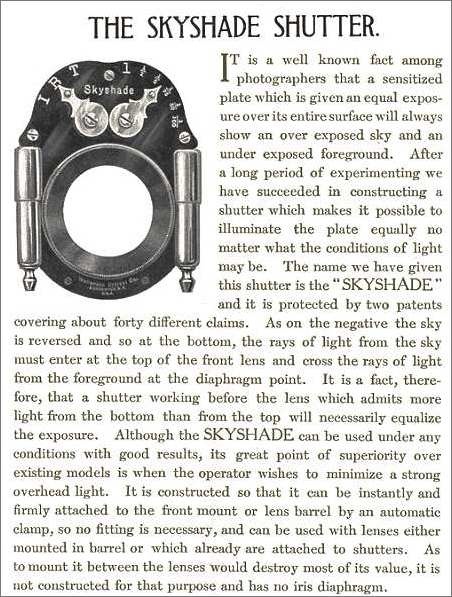 The Skyshade shutter was designed to solve a classic landscape photography problem in which blue sensitive plates had a tendancy to over expose the sky. To overcome this, Wollensak designed the shutter blade to change speeds during exposure.